Selvklebende, blanke epoxy dots. 1 tommer i diameter. Epoxy Dots. 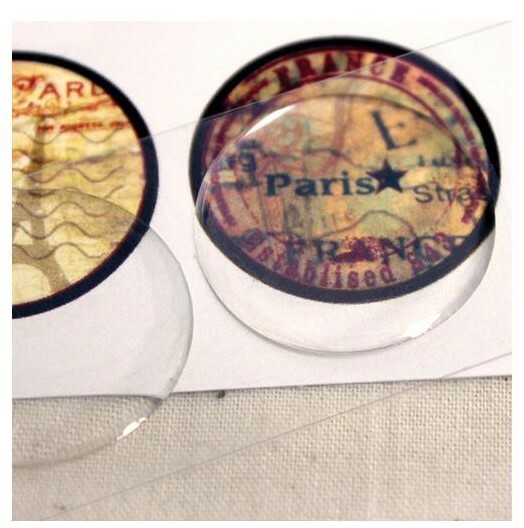 These dots are clear, slightly domed, self-adhesive, circle dots that protect and seal the image underneath. They are scratch and water resistant and coordinate perfectly with bottle caps, bezel pendants and many other circular craft and jewelry designs. Quick and easy, no mess, perfect for kids and adults! 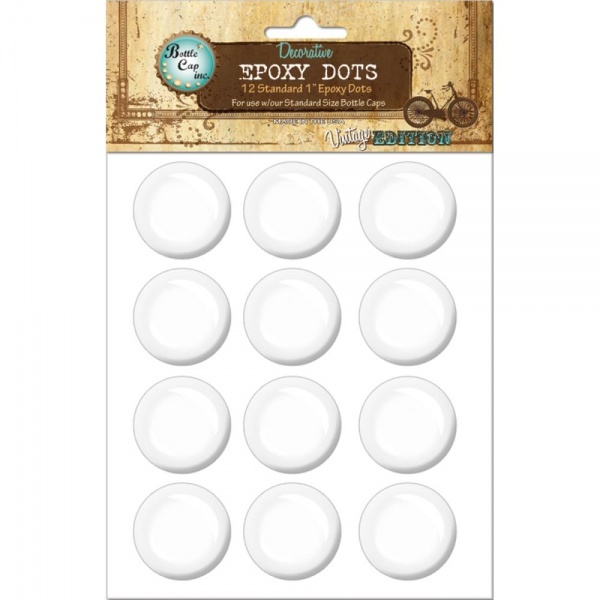 This package contains twelve standard epoxy dots that are 1 inch in diameter.